Hey people! It's that time of the month again. Time for myglam bag. But this month is a little bit different. MyGlam is now Ipsy. I don't know what 'ipsy' means, but the website has now new look and everything. Its slogan is now "beauty by you." I guess what it means is more personalization. They also promise to have more makeup. This month's bag includes $20 off for JustFab, which is a beauty subscription for shoes. It's pretty amazing! I'm pretty skeptical about this. I'm not sure whether there's a product in the world that can mend a broken (hair) end, but we'll see. I've been having pretty severe split ends. I trimmed my hair about 3 months ago, and the split ends have regrown. I don't know why. My Tresemme Split Remedy Conditioning Treatment has helped me a little bit, but we'll see if this split-end sealer will do wonder just like the site says. 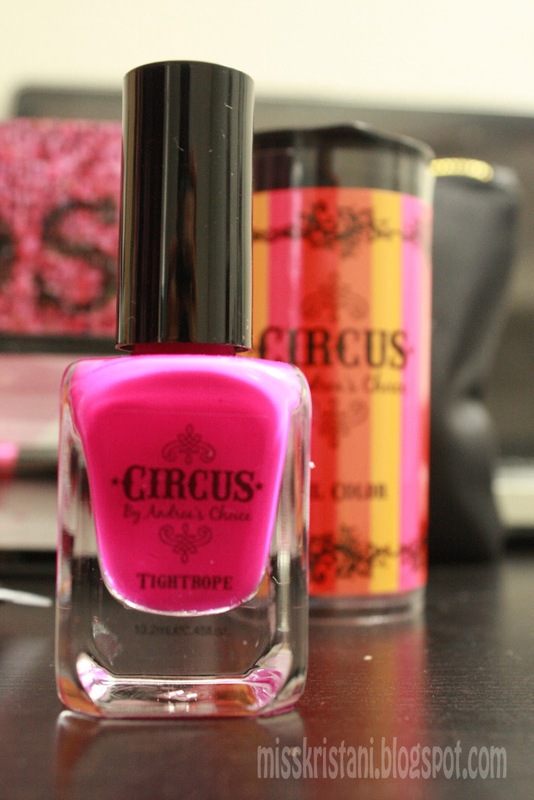 Another hot pink gloss is included. 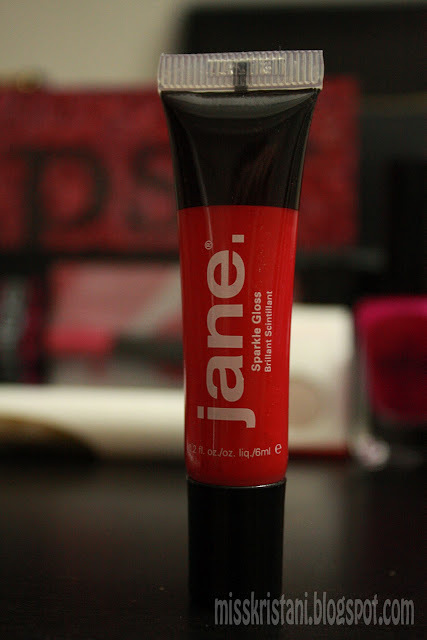 I haven't tried it on my lips yet, but it's for sure not sticky and the color is pretty bold. 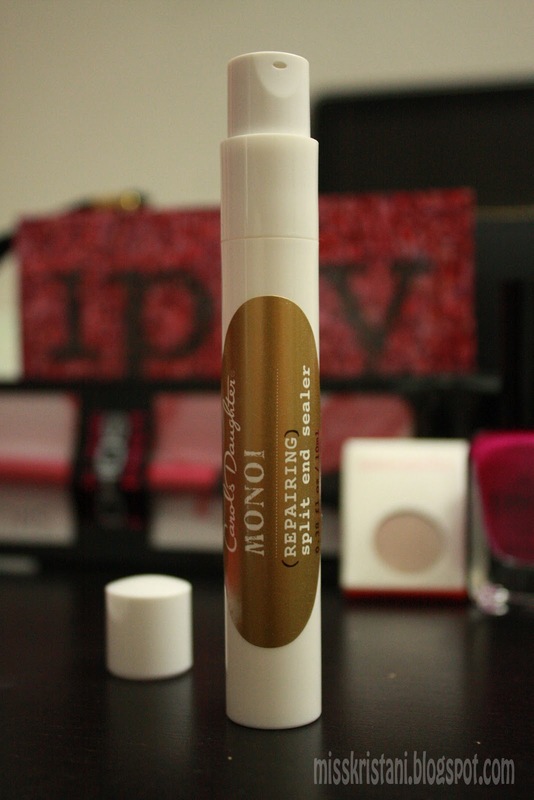 I love Mirabella's permanent eyeliner pen which was included in the myglam bag a couple of months back. I'm not too excited about the shade, but when I swatched it the texture was pretty creamy and smooth. I has satin finish. I don't have anything to say about this particular product except that it's Andrea's new line of nail polish, and Andrea is one of the myglam, oops, Ipsy girls. So this is my very last myglam bag. I have unsubscribed because I think that for $10 month I can get stuff I actually like instead of piling on things that I might or might not like. Anyway, when I unsubscribe on the website, somehow I accidentally subscribed for a year. I immediately contacted the customer service, and they said that they wouldn't charge me if I cancelled the subscription before the next billing date which is the first of every month. It was the 30th and I confirmed with one of myglam people that I wouldn't be charged. Few weeks ago I checked my back account and I found a charge of $110. I was pretty irritated. I contacted myglam again and they told me the have issued a refund of me and I could expect to receive the credit back to my account in 3-5 days. And now 8 days later, still no sign. I went ahead and contacted them again, and they said the have reissued my refund. So hopefully I receive the credit back soon.